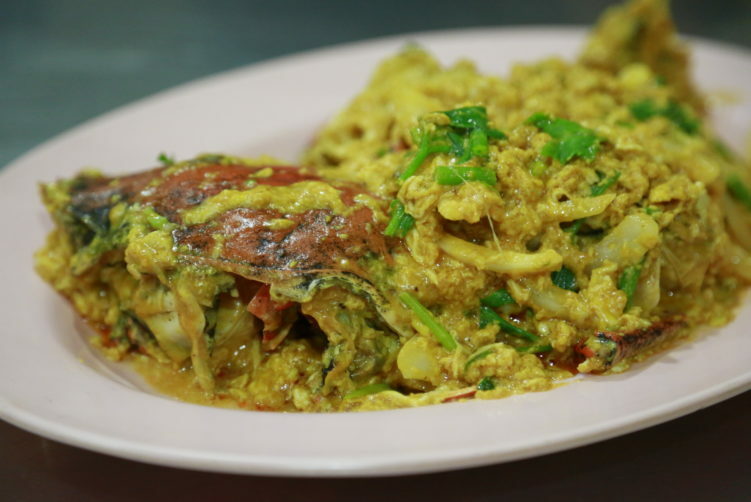 In Asia, I have a crush for crab dishes, especially yellow curry crab and pepper crab. Of course onlye when the kitchen is doing their job. And Lek Seafood Silom is delivering a very good curry crab. Crab is an expensive treat no matter where you are in the world, and you don’t want to pay a high price for mediocre skills and quality. You don’t do that at Lek Seafood, as the crab is good. That said, it’s not perfect. The crab is really juicy. The onion has the right texture as well, a necessity for this dish to come true. No onion, no real curry crab. The immediate response after my first mouthful was a big yes, but I also realized that the creaminess of the dish and the taste of yellow curry was too much in the lead. Crab meat is a sensitive treat and you have to let it play the main instrument in the show. That said, the dish was very good, but yes, it could have been even better if they tone down the curry and the creaminess. We ordered a 1500 Bath crab, sold by the weight, for two people in addition to morning glory and hog lie pad prik pao (clams with fried chili). The crab was really big, and I suggest to choose a 1000 Bath crab for two if you have additional dish(es). I also missed a decent crab cutlery to make it a bit more easier to get to the crab meat. In other words clean your hands well before eating here as they will be your best friend. The morning glory was good, without creating any applauses. 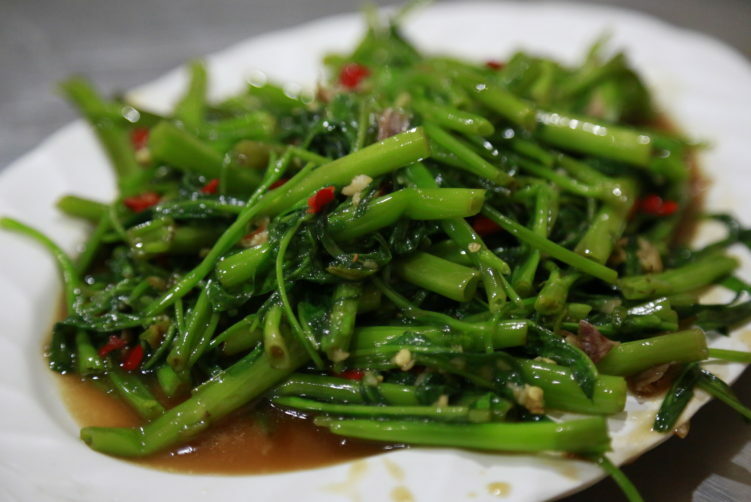 Crispy greens and a good chili/garlic mix, but the dressing was to “watered out”. In other words nothing to wave about, but no need to hesitate either if you feel for morning glory. And the crispy green color lights up every dinner table. 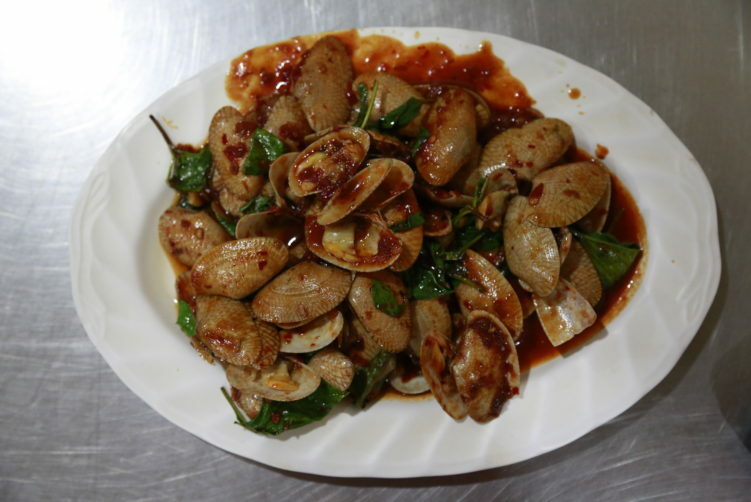 The clams with fried chili was a bit of a dissapointment of what this dish can be. It was decent, but nothing more. My dinner companion thought the pad prik pao might have been bougth ready made and not made by Lek Seafood Silom themselves. It was definetively far to sweat and lacked the typical sting of chilies. It also came short of the amount of basil used. Many street stalls will serve you better clams and you need to look no further than the (fake) Somboon Seafood Pochana in the beginning of Sukhumvit Soi 20, next to the 7/11. Food wise, you come here for their good crab. 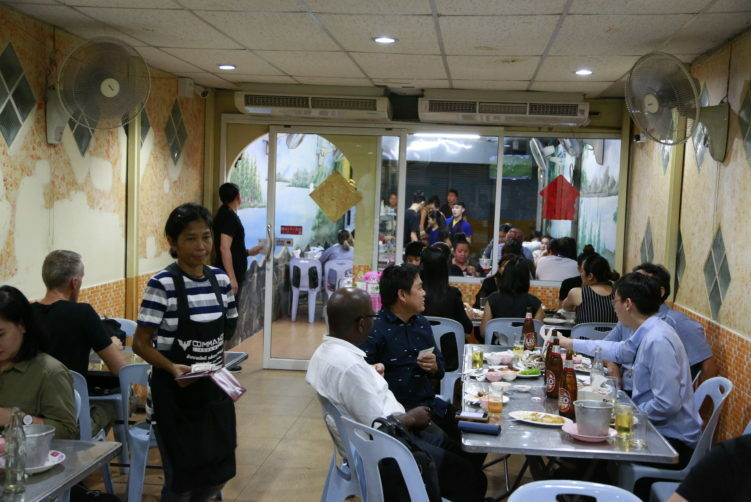 The atmosphere is pleasant and the service is good to be a Bangkok “hole in the wall” like venue. They have both indoor and outside seating with a glass window/door between the outside and indside. 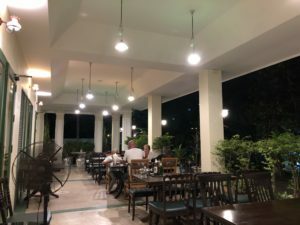 The indoor seating has AC, making it an attractive venue also on warmer evenings. order now Open: 5 pm – 11 pm. Closed Sunday. How to get there: Take the BTS Silom line to Chong Nonsi. Take Exit #2 and a u-turn when entering the street. Soi Naradhiwas will be to your left and Lek Seafood Silom is 5 meters into the soi to your left. If you have a crush for crab dishes, especially yellow curry crab and pepper crab, Lek Seafood Silom is doing a good job. See full review at StreetsideBangkok.